Incorporating flower arrangements around your home can create a very welcoming ambiance, adding a pop of color in just the right place. The type of arrangement you choose is pivotal for it can set the mood of the room entirely. 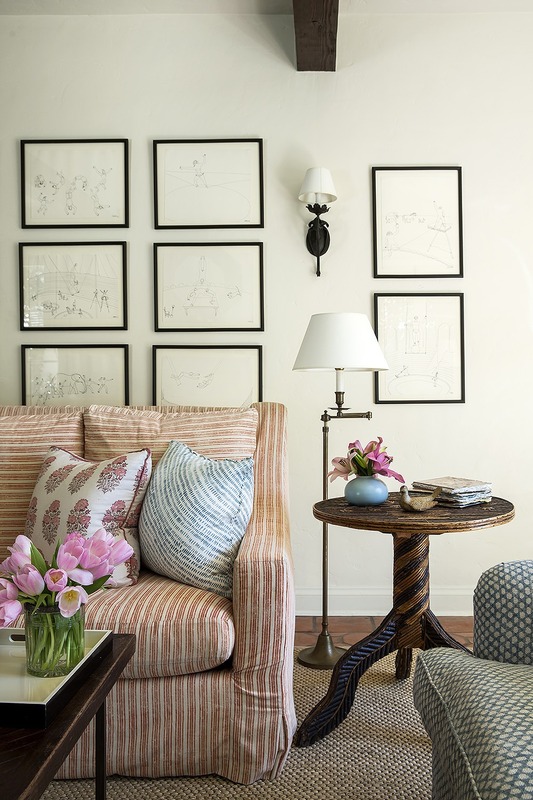 With Spring right around the corner, here are a few floral arranging tips for three important areas of your home- the kitchen, the dining room, and the living room. A flower arrangement is the perfect way to warm up your kitchen, brightening up the environment for anyone who walks through. Kitchens can often be very sterile places due to all of the hard surfaces so adding a natural element like flowers makes a big textural difference. Integrating casual varieties like Sunflowers or Tulips onto your kitchen top instantly provides the room with a cheerful feel, creating an uplifting space to work in. The living room is one of the most social areas in your home, so you should choose an arrangement that accents the room without getting in the way of your guest’s conversation. A flower such as the Peony is a great choice, coming in many different colors, such as white, light pink, red, rose, and magenta. Like the Peony, Hydrangeas are a great way to add a soft, feminine touch to the space. Placing their full blooms in a traditional low profile glass table vase is a perfect addition to a coffee table. Floral arrangements are a natural and important part of a formal Dining Room setting and can be a real conversation starter at a dinner party. In the spring, flowers such as the Amaryllis, Orchid, Anemone, and Tulips are all in full bloom, waiting to be on display. Or, if you are wanting to keep it simple, champagne colored roses can provide the room with a faint, pleasant aroma while matching well with most décor due to their neutral color.